HOTCH brings you background and information on 'the Wimbledon of Chess', which starts this weekend. As one year rolls into another and January dawns, chess enthusiasts everywhere start to get a bit dreamy — Wijk aan Zee is just around the corner! That’s how it is for this chess enthusiast anyway. I have been making my annual trip to the small Dutch seaside village for the last decade. Whether it is for work or pleasure, it always fills me with excitement to visit the event, which is nothing less than a chess ‘festival’ really. Though the master groups get the most coverage, there are amateur events also going on and these are usually packed out and held in a few locations around the venue. I’ve even competed in one myself, way back in 2006. This year’s tournament opens in just a couple of days. In this, part 1 of my preview on the tournament, I will give you a bit of background on the event. This will be of particular interest if you are new to chess, or have been a bit out of touch. In part 2, I’ll take a look at this year’s edition, especially the players. When I first attended Wijk aan Zee’s (pron: wiyk-ahhn-zay) chess tournament, it was the Corus Chess Tournament; that was until the Anglo-Dutch Corus Steel, (event sponsors), was acquired by India’s Tata. Consequently, the tournament became the Tata Steel Chess Tournament in 2011 and that it is the name it goes by now. Of course, the tournament has a history that goes way back. It started in 1938, as Hoogeveens and was initially held in Beverwijk, which is just down the road from where it is held now. Wijk aan Zee has been the tournament’s home since 1968 and it has grown and grown into what it is today — regarded by many as the best chess event on the calendar and dubbed ‘the Wimbledon of chess’. Over the years, no matter what its name, the tournament has attracted the world’s best players. It will be hard to find a top player who hasn’t attended the event. Legends of the past, such as Botvinnik, Euwe, Taimanov, Larsen, Spassky, Korchnoi, Tal, Petrosian, Karpov, Kasparov, all show up in its hall of fame. 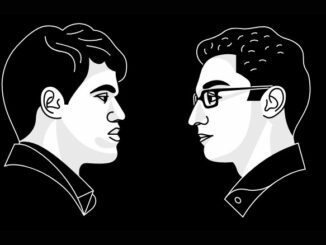 And when it comes to the present, Anand, Carlsen, Giri, Caruana, Vachier-Lagrave, Nakamura, Aronian, Svidler, Kramnik, Jobava, Karjakin, Topalov, are just some of the big names who have competed for its glory. The main venue for the event, is the De Moriaan Community Centre, which is situated right in the heart of Wijk aan Zee. The De Moriaan seems quite a modest building at first glance, but appearances can be very deceptive! During the event it is a bit like Dr. Who’s ‘TARDIS’, leaving one wondering how on Earth it manages to cram so much (and so many) inside. The main playing hall is usually used for sports such as basketball, but for two weeks in January, it is filled with rows and rows of tables. These hold battle-ready chess boards, and are surrounded by players and spectators as far as the eye can see. At the front of the hall, are the Grandmasters, who sit at their respective boards or walk around, practically within touching distance of onlookers. For a few years, now, as well as the De Moriaan, the tournament has also had a couple of rounds that see the Masters group play outside of Wijk aan Zee, at other locations around Holland. Named ‘Chess on Tour‘, this has seen both a science center and a museum serve as hosts for the day. It is a really nice touch and allows the event to reach a wider audience. 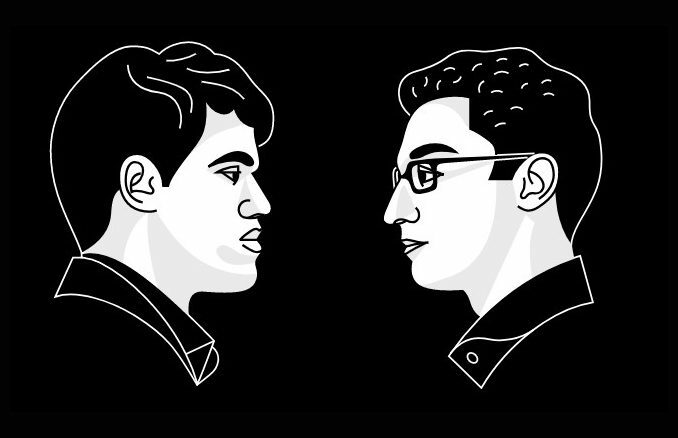 The future of chess lies with the young, Magnus Carlsen said as much during his World Title defence last year. The Tata Steel Chess Tournament is playing their part in encouraging the next generation, by dedicating the second weekend of the tournament (January 21st-22nd) as ‘kids weekend’. During this weekend, there will be many activities provided free of charge in order to bring chess to the young. They can learn how to play our wonderful game, receive their own dedicated commentary on the top games, and even learn how to vlog! Parents can also enjoy a tour of iconic places in the area while their young ones are otherwise occupied. This is a really good initiative and those interested are invited to register at the tournament website, here. 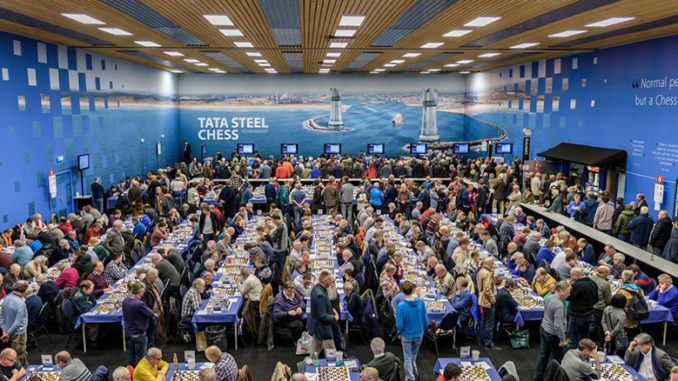 In my opinion, the Tata Steel Chess Tournament is extremely special and it has an atmosphere that keeps chess enthusiasts visiting in huge numbers each year. Not only can one watch top players go about their business from extremely close quarters, but there is commentary available in English and Dutch in a nearby marquee. And in addition to the chess, the De Moriaan has a very cosy bar and lounge, where one can take a time-out and have a cup of tea — or, indeed, something stronger. Various snacks can also be bought, not least the world famous pea soup, which has to be sampled at least once. On top of all that, if you have some cash left over from the holiday season, there are a few stalls offering various chess supplies. Of course, though, a huge part of the tournament is that many of the world’s best face-off with a view to taking it’s top prize. In part 2, we’ll take a look at this year’s line-up. I’ll also give you all the information you need to know should you wish to follow along. Click here to proceed straight to it. Sinquefield Cup Round 4: Five Lead as Caruana Wins.